Peter J. Slack is an independent Canadian singer-songwriter, musician, aspiring music producer, mechanical engineer, philospher, philanthropist, and entrepreneur. Although Peter loves all musical styles, he is most comfortable exploring the folk, jazz, blues and ambient/improvisational genres. Peter has had a lifetime of musical training and involvement. In his teens, Peter studied jazz guitar at Eli Kasner's guitar academy for 5 years. Peter turned momentarily from the musical path in 1984 and spent the next decade first obtaining an Engineering degree at the University of Western, and then practicing engineering, raising a family, and running a family owned mining business and organic farming venture. It wasn't until 1996 that the music bug took hold again and Peter branched out to begin producing music forming a music production and recording company, Digital Bird Studios. It was then he began exploring the realm of independent, desktop computer based music publishing, and he produced several albums for young independent artists including Jennalyn Flesch and Dave Misener (Convertible Robots, Sir Jerry). Peter has since continued to produce music on the ever-increasing capabilities of the computer desktop and home studio as well as experimenting and blazing trail using the Internet as a free and open musical distribution mechanism. In 2004, Peter was inducted into the Toronto area collective of songwriters currently known as Songwriter's Unite!. After several years writing songs and gaining inspirations through performances with and among other amazing artists in this collective, Peter has launched a folk musical style and has just released his first official CD: "The Cat Continuum", a folk-pop album. Peter publishes philosophy, words and music both on his podcast that has worldwide distribution http://peterjslack.blogspot.com) and on his website (http://www.pjslack.com). 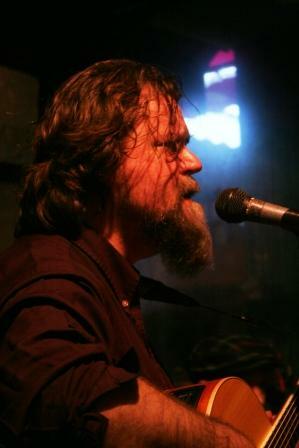 Peter is also a member of SOCAN and a member of the Headwaters Acoustic Music Society.